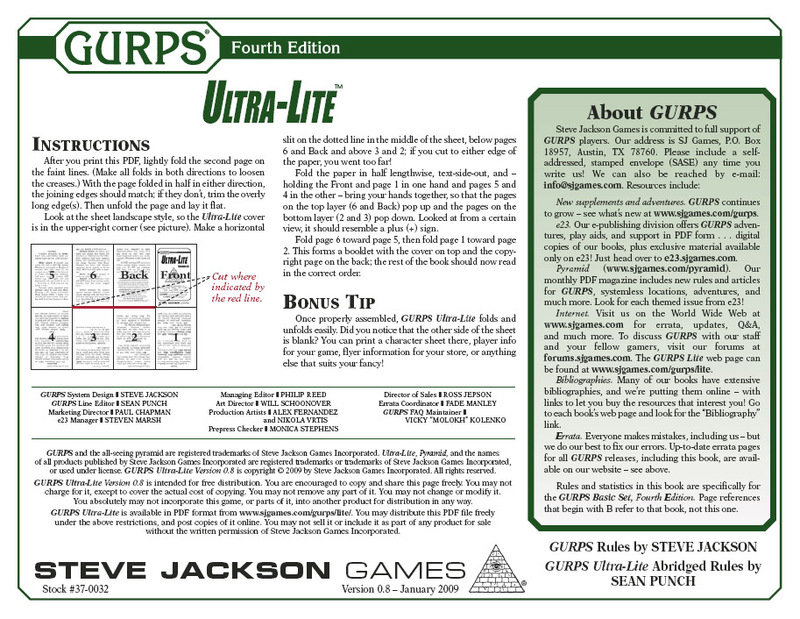 GURPS Ultra-Lite is also available in Polish, translated by Marek Łukasiewicz. GURPS Lite – A 32-page distillation of the basic GURPS rules. It covers the essentials of character creation, combat, success rolls, adventuring, and game mastering for GURPS Fourth Edition.